Although its film fortunes might be pulling back a bit, Star Wars is still going strong on TV, with Disney XD’s new animated series, Resistance, debuting this Sunday, and producer Jon Favreau now revealing some new details—including the title—for his live-action series set in the franchise’s extended universe. 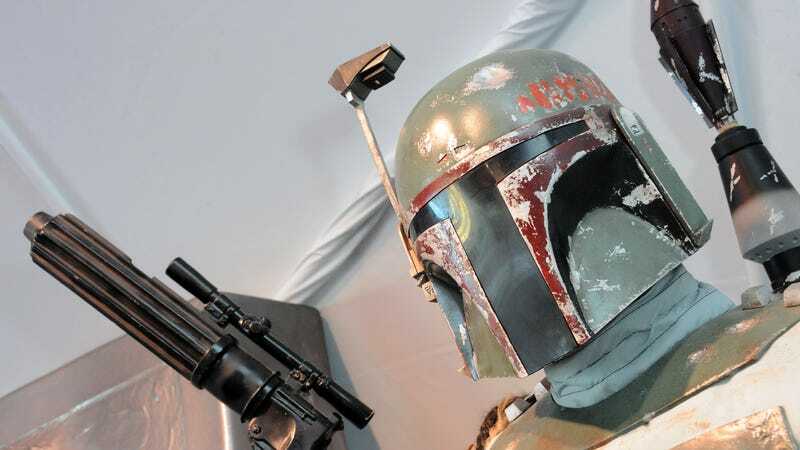 The Mandalorian—about another member of Boba Fett’s people, bouncing around the galaxy in cool-looking armor and getting into gunfights—is aimed at being a major draw for Disney’s planned streaming service, which is expected to debut next year. The most interesting thing about the series—which, like Resistance, is set in the period leading up to the rise of new-series baddies The First Order—is the sort of tone Favreau’s description is evoking; the genre it sounds closest to is a sort of Western, with the title character as an aimless mercenary going all “Have blaster, will travel” on the outer edges of the galaxy. On the one hand, it’s a cool, distinctive idea, and one more way Star Wars is continuing to try to distance itself from the old “All Jedi, all the time” ethos that dominated it for so long. On the other hand: A Western in space? It’ll never work.